Jeanne Récamier was an art patron and hostess of a distinguished salon. She was raised in a convent and married a banker who, in 1805, lost a considerable amount of wealth because of Napoleon’s policies. By this time, Récamier had already established her salon, which included officials who had fallen out of favor with the imperial regime. 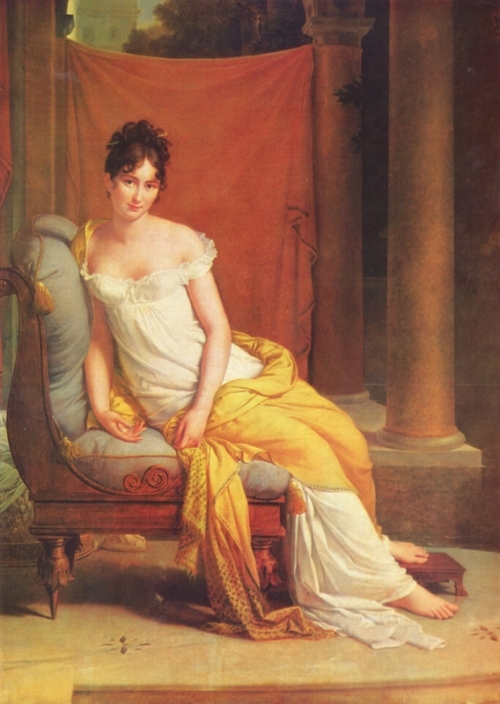 Récamier was exiled by Napoleon, but she returned after his defeat at Waterloo. She reestablished her salon and in later years was the companion of the author François Chateaubriand.